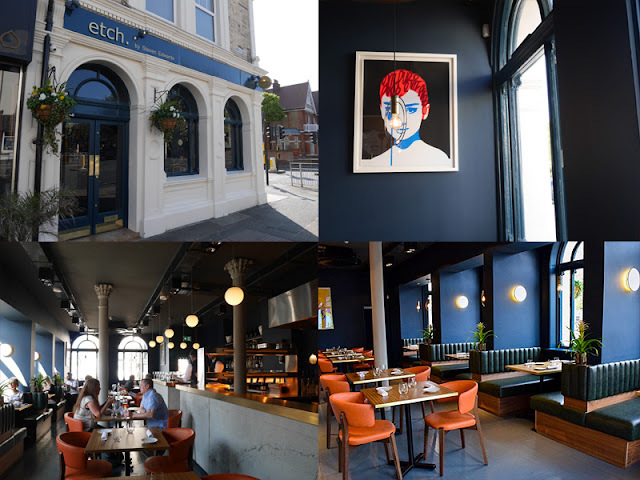 This year sees a number of eagerly anticipated restaurant launches in Brighton & Hove and one that has created a particular buzz is the opening of Etch by Steven Edwards. 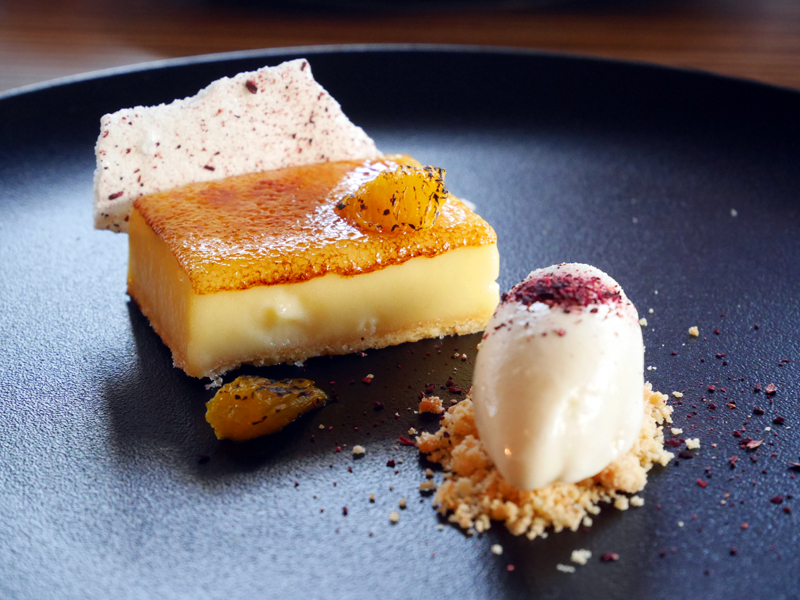 Winner of Masterchef Professionals and with an impressive CV behind him, he has decided to open his first restaurant here in Hove, celebrating Sussex produce over a series of weekly changing taster menus. Depending on day and service, diners can choose between 4 (£40), 6 (£50), or 8 (£60) courses. As is de rigueur, the menu is cryptically written, with just two ingredients listed per dish. However, waiters, or even chefs themselves, will fully explain each plate at your table. Wine flights are available for each menu or available by the bottle or glass. I was pleased to see a lovely selection of our Sussex sparkling wines too. The first thing we taste is a snack of miniature mushroom doughnuts; light, delicate and heady with the scent of truffle. 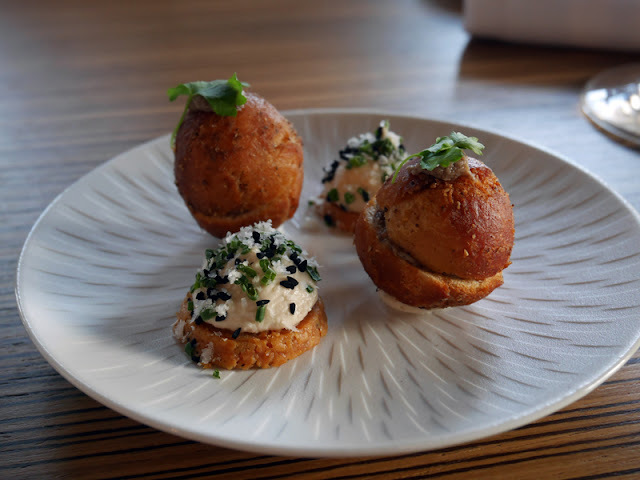 If the first thing I taste in a restaurant is truffle, then I know we are going to be friends, I am CRAZY for them. Next to this was a little biscuit topped with an onion and cheese cream. Familiar flavours, just, well, better. 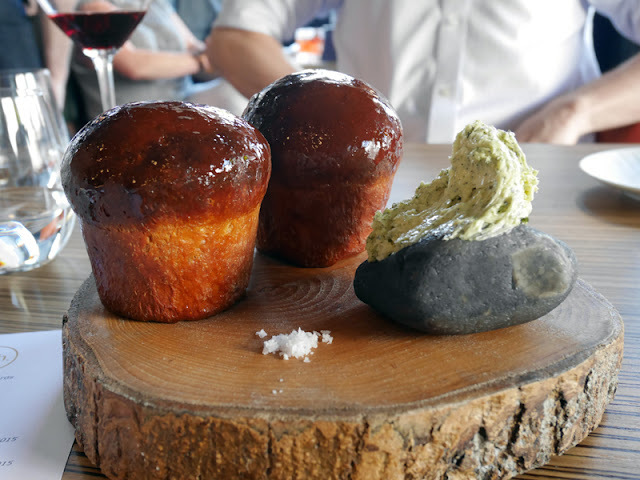 The bread arrived as a light, warmed brioche bun with a glossy Marmite glaze (I love it) accompanied by a dehydrated seaweed butter and welcome pinch of salt to tailor to your taste. There is so much carb bashing these days but proper bread is a beautiful thing worth celebrating and hard to get right. I'm really loving the attention to detail with breads and butters in the restaurants, historically overlooked but now standout. The menu's theme has classic flavours at its core and the pea and mint soup was a perfect example, something we've all had a hundred times over. But reworked as an aerated soup, with tiny cubes of pea jelly and plenty of fresh peas suspended throughout was the luxury version of its common cousin. 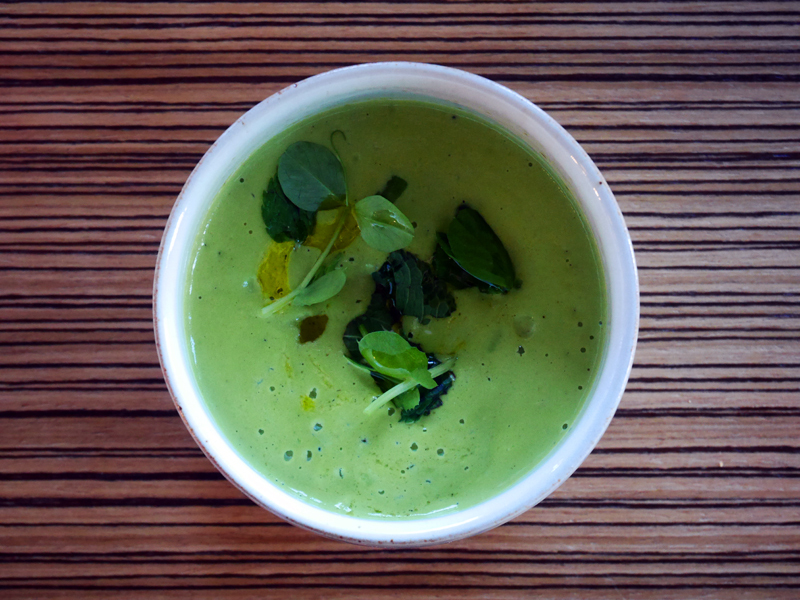 I adore fresh peas, and this vivid, rich and silky soup did them justice. Beautiful hunks of sea trout had been cured for just 20 minutes before being blow torched for the fish course. Normally raw fish isn't something I enjoy unless very finely cut or in sushi, but that short cure time had transformed the texture into something very pleasant to eat. I thought we were being had on with the description of "Big Mac lettuce" under the trout but indeed, warmed, finely shredded and with sweet and sour pickle and onion flavours, I got it and it worked! 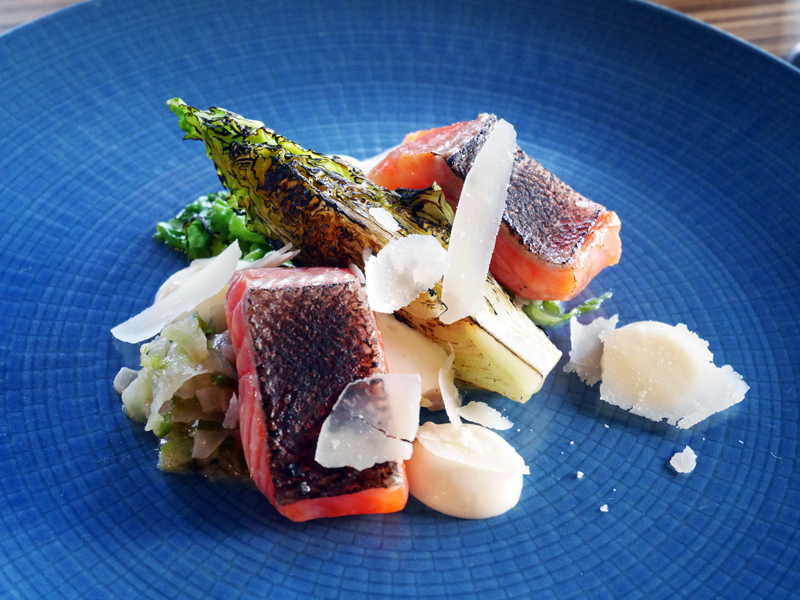 Gorgeous charred flavours from the fish skin and the blow torched lettuce contrasted beautifully with the rest of the dish. It's been ingrained in me that cheese and fish should never be on the same plate, but the hard cheese here added a savoury edge that had its place. 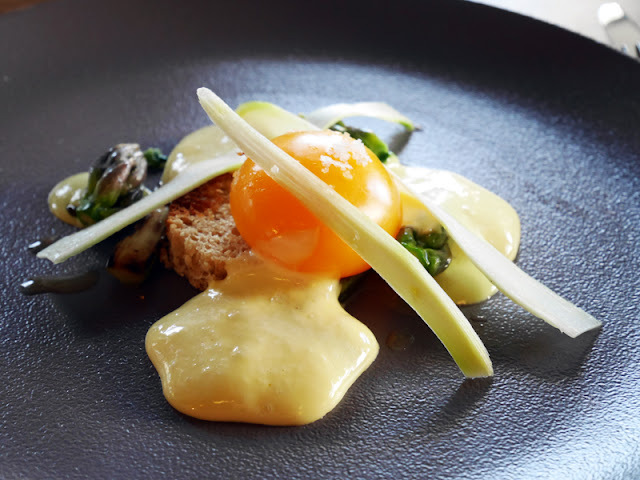 The show stopping, glossy slow cooked duck egg yolk sat on top of buttered, raw and charred asparagus with aerated hollandaise was another brilliant example of a classic reworked (dish photographed at the top of this post). The rich yolk and the citrus from the hollandaise made this a lovely thing to eat with fresh asparagus. Simple, but probably my favourite dish. 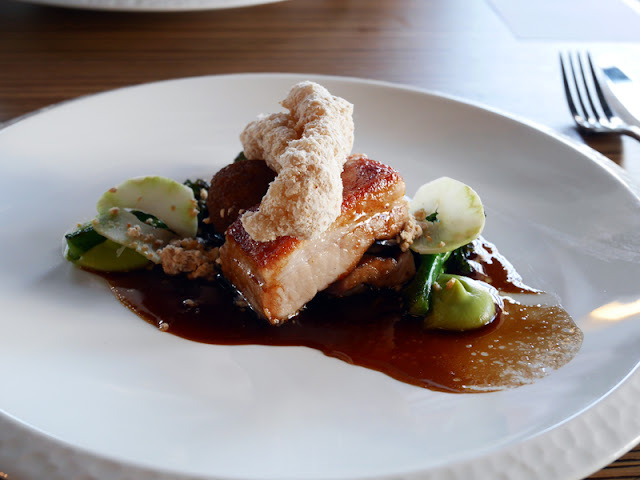 Cooked sous vide for a day, the pork belly was perfectly rendered, soft, squidgy and melting, accompanied by a succulent breadcrumbed ball of shredded pork. Broccoli had been given three treatments; pureed, braised and the raw stem cut thinly. On top of all this, an impressive piece of pork crackling, dehydrated and somehow given a crumb texture, was puffy, crisp and without chew. The dish was brought together with a rich jus - a seriously delicious end to the savoury dishes. The classic lemon tart didn't disappoint though. Sharp and sweet with a brûléed top, burnt orange ice cream and hibiscus crumb and meringue shard. Refreshing and a perfect end to a pretty faultless meal. Etch have their priorities in order. Yes they want to impress, but they manage to do that with enough technique whilst keeping things simple and, above everything else, enjoyable to eat. Modern fine dining can often be too complex, thought provoking and technically excessive at the sacrifice of enjoyment. Simplicity is hard, especially when you want to show off creativity, but the food is pitched perfectly here - it's one of the nicest meals I've had in a while. I'm certainly going to be thinking about it for a very long time. 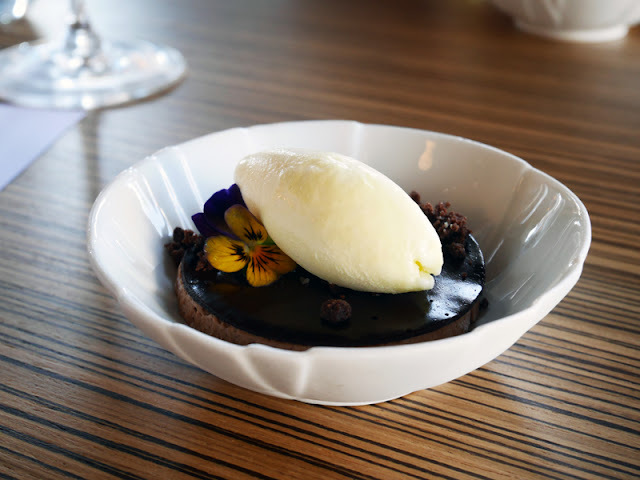 Prices at a glance may seem at the top end, certainly in this neck of the woods, but broken down for each course and with the quality and technical ability of the dishes in mind, it represents incredibly good value. I'd rather come here over two or three visits to mediocre restaurants, that's for sure. Etch's location in Church Road may be a little out of the way but this is destination dining. It's fully booked for dinner until July, and even after the initial excitement has died down, I'm sure diners will continue to flock. 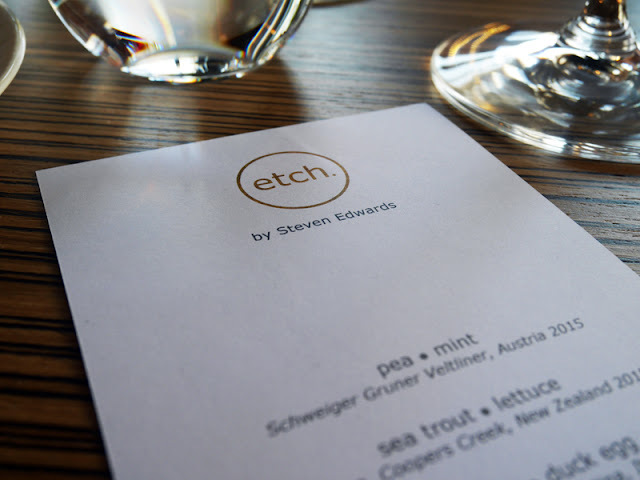 I dined as a guest of Etch. Words and thoughts, as always, are my own.